We’re not denying that spiral staircases can be aesthetically pleasing, but in terms of practicality and usability, they’re rarely the best choice. In fact, a lot of people don’t realise the many implications and issues that come with a spiral staircase. From safety to everyday use, there are several things that you need to think carefully about. For example, consider the challenges of carrying things up a spiral staircase. Nobody wants to experience a Ross Gellar-esque “pivot!” moment. But this is an all too familiar occurrence for those with a spiral staircase in their homes. You should also consider more vulnerable people in your family that might struggle with the logistics of manoeuvring on a day-to-day basis. Typically, a spiral staircase will be far steeper than a traditional one, which can cause unnecessary grief for children or elderly relatives. As innovators within the staircase industry, we appreciate a good design more than anyone, but safety should always come first. 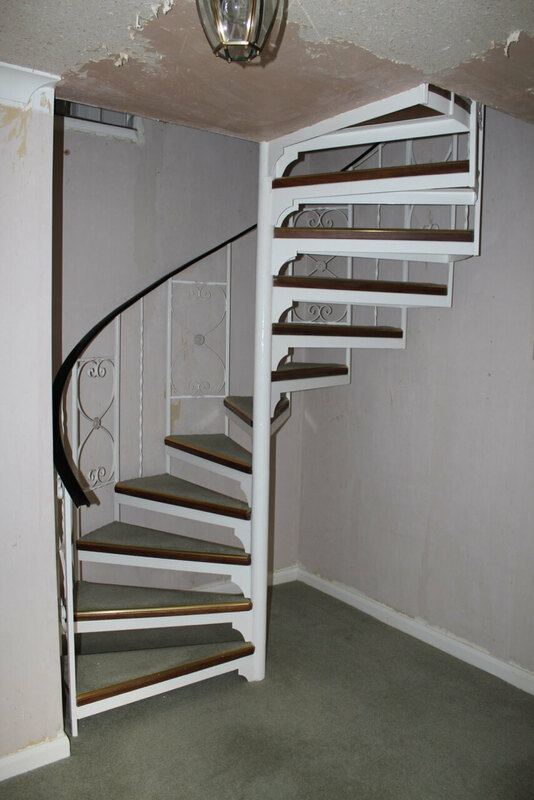 A lesser-known but great alternative when renovating spiral staircases is the kite-winding staircase. In a nutshell, a kite-winding staircase can change the direction of your spiral staircase without the need for a landing. The ‘winder’ is an element of the staircase. Basically, they are steps that are narrower on one side than the other. Typically you will have two of these within your kite-winder staircase. The ‘kite’ is a quadrilateral shaped middle step that goes between the two winders. This acts as a platform on which you can change direction. Many people assume that such a design would take up quite a lot of space, but a kite-winding staircase only needs a 6ft x 6ft base. 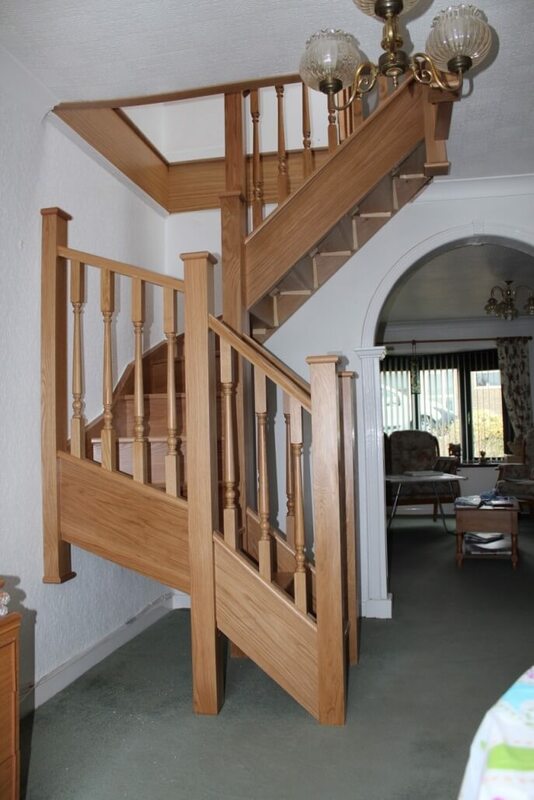 What’s more, this type of staircase is a lot easier to manoeuvre on and as such, is a lot safer to use. One of the benefits of a spiral staircase lies within its ability to create light and space. This makes a lot of people reluctant when renovating spiral staircases, as they don’t want to lose that light and space. However, this can be replicated with a kite-winding staircase. With a touch of imagination, the right materials and a bit of technical know-how, you can create a unique kite-winding staircase that maximises light in your home. 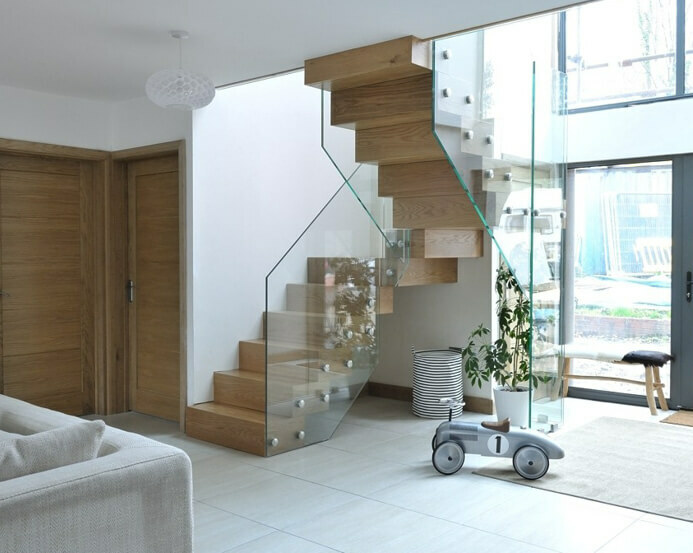 In this instance, a glass staircase can work brilliantly. Glass sliders or treads will easily create the illusion of space and the effect of light cascading through your hallway. 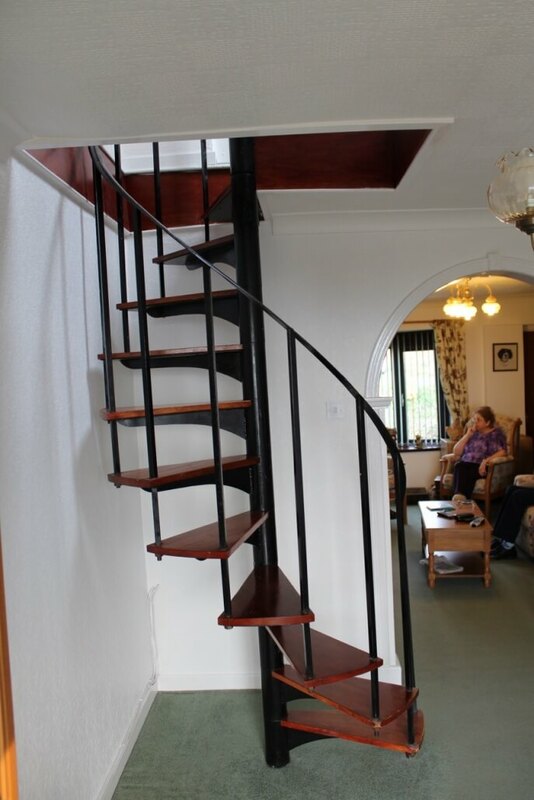 Plus, it’s a lot safer and easier to manoeuvre than a traditional spiral staircase. We call that a win-win situation! 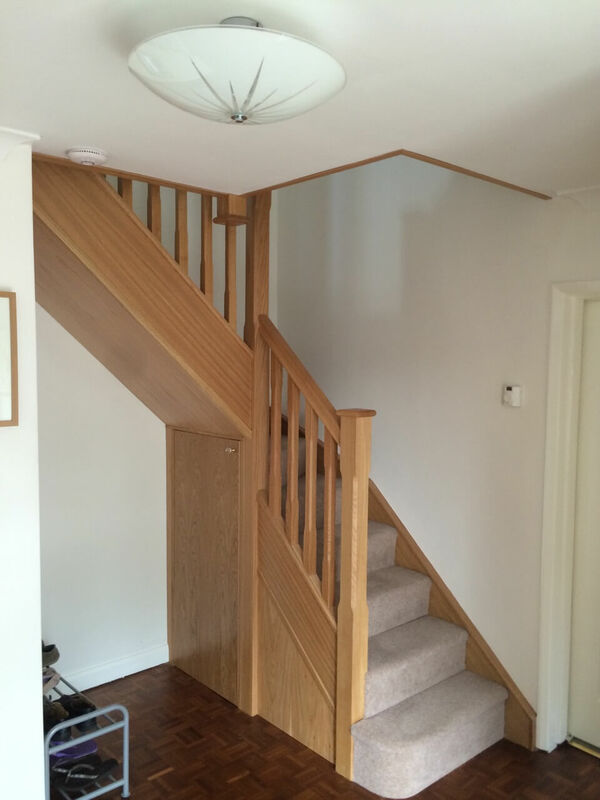 If your spiral staircase is spiralling out of control, get in touch with our team to discuss the possibility of turning it into a kite-winding staircase.